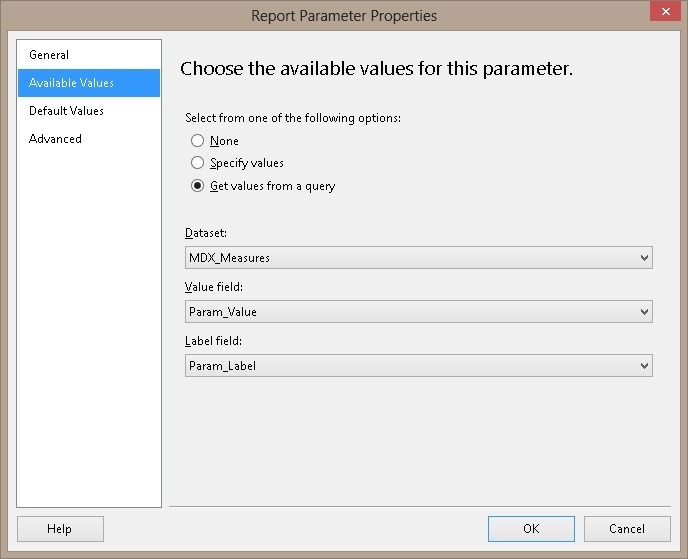 This entry was posted in MDX, Reporting Services and tagged cell properties, dimension properties, fields, Measures on rows, XML by Gerhard Brueckl. Bookmark the permalink. Hey, I apologize for commenting on an old thread, but I keep searching for an answer and it always leads me back here, because to be honest, there just isn’t much information out there about this topic (that I can find). 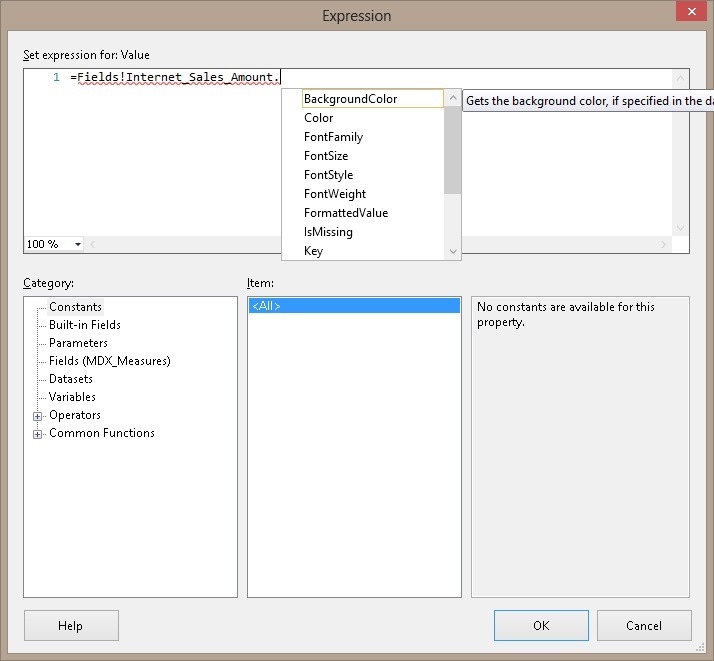 I am trying to use the member properties in the same way you are (adding them to the MDX), with one difference. I’m using a hierarchy (DESCENDANTS function) in my MDX query as well. What this does for my report in SSRS is I can’t access the properties using the fields that SSRS autogenerates for me, it throws an warning saying the fields don’t exist and the fields are blank or #ERROR. Any ideas? There are a couple things I can do as alternatives that I really don’t want to do: manually edit the XML field source to remove the “[Level 02]” part which seems to fix the problem and I can use the fields as normal, create members in the MDX, or use the syntax (“MEMBER_PROPERTY”). All of these alternatives are either tedious or non-performant. 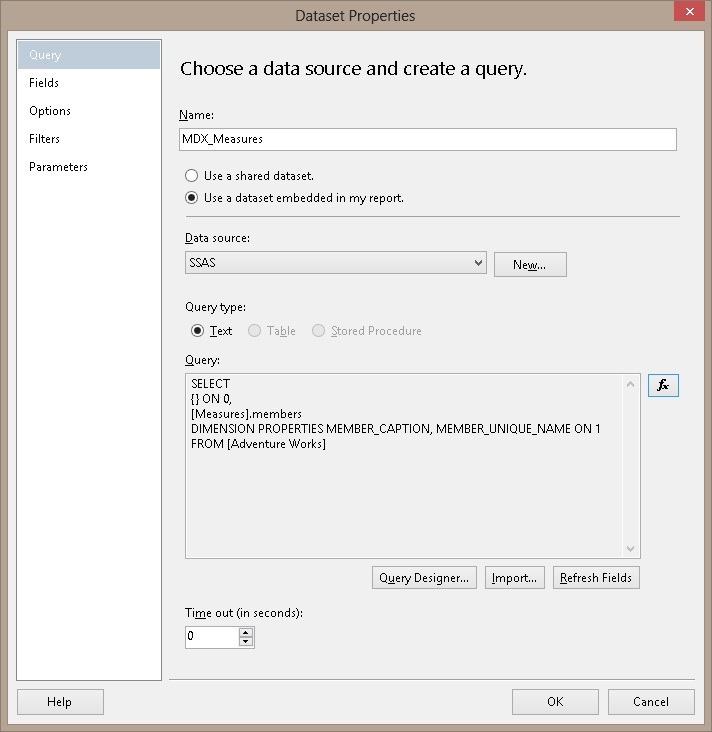 For regular hierarchies I usually use the standard parameter query. if you say that the performance is not sufficient, I assume that the list returns 10.000+ members and this raises the question why you need such a parameter and how the user should ever select from it? Using this field in the report throws an #ERROR, however, if I update the LevelUniqueName to just “[DimWithHier]. 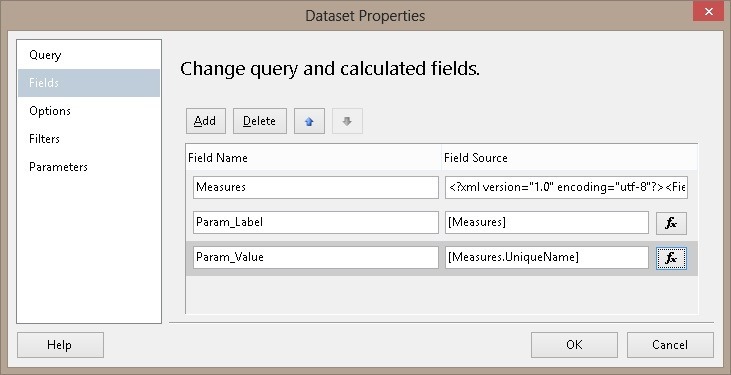 [Hierarchy]” the field works as intended, though I would have to update that everytime I make a change to the MDX and refresh fields in the dataset. The alternative is to ignore the field autogenerated and use the syntax Fields!DimWithHier(“SomeUserDefinedProp”), though this for some reason is much slower than using the field above. So, what you are saying is instead of the above, I need to do the below?